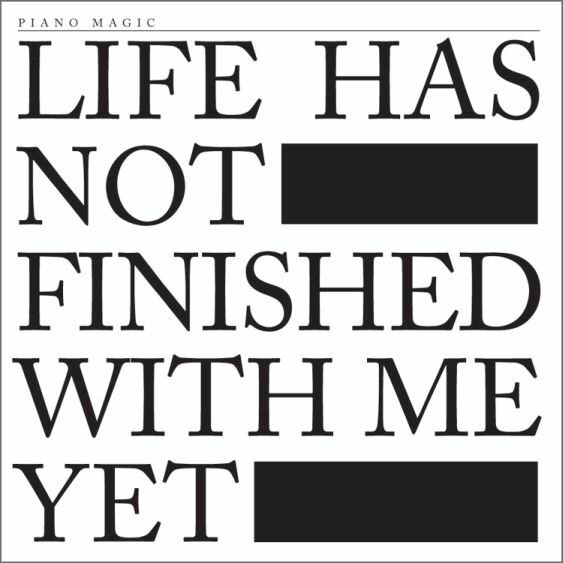 dismissed in some circles for not being ‘indie’ or minimal or pure enough (depending on the ”intellectual” creds of the writer/blog) the latest release from Piano Magic, is a slow burn alternative universe collection, exuding a shimmering calm that only comes before or after some kind of exquisite tension. This is the gentlest bitter, a restrained anger, no overblown dramatics, rather a sensual hypnotic even devious journey into the soul. There are words of warning here for the dishonest, the reckless, and the self satisfied, whispered with a smile rather than shouted in futility. The band has not given up on that (previous label) 4 AD mystery, but now adds a bit of soul, a touch of world, a lot of restlessness to the mix. Imagine if you will a midnight wedding tween a New Order pop song and a David Sylvian willful experiment with just a hint of the more masculine side of Dead Can Dance and then dream on, listen on, from there and let the surprises take you at will. The title track give a clear indication of what the writer and the band hope to convey, achieve, charting that ambiguous dangerous time, where self doubt and hopelessness can push one to the very edge, and yet somehow you pick yourself up and keep going, keep creating keep trying to express yourself. This new album is full of such intimate ideas expertly told and wonderfully played.